Diane and I quickly decided to open up our plans to sew together to the entire Itch to Stitch facebook group so others could join in with us and let’s just say some sewing got done. Hoorah! For my stop on the ITS Love tour, I’d like to present my Lisbon and Liana outfit. I made up the Lisbon in an interlock knit that’s been in my stash for over five years. The Lisbon is super easy and fast to make, especially if you skip the buttons. I think I finished this project in less than 2 hours cut to finish. Being on a bit of a pant making stretch, the Lianas came together easily for me too. All the time I’ve invested into working out my fitting needs and having more practice making pants is really starting to pay off. Special thanks to Diane and all the sewists that joined us to make our Liana jeans. I’ve been needing the extra motivation lately. As always, please visit my fellow bloggers today. These ITS Love tour sponsors have generously provided wonderful prizes for you to win. See my post here for all the details about the FIVE prize packs we have to Giveaway and how to enter. Great outfit! The jeans are beautiful… great job! These jeans look great! I’m addicted to topstitching and your’s is fabulous! I haven’t got the Lisbon yet, but all the versions I see are really cute. 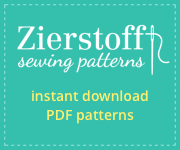 Maybe I should buy myself some patterns for Christmas! Your jeans look amazing! I love the detail you added with the selvedge on the front pockets. So cute! 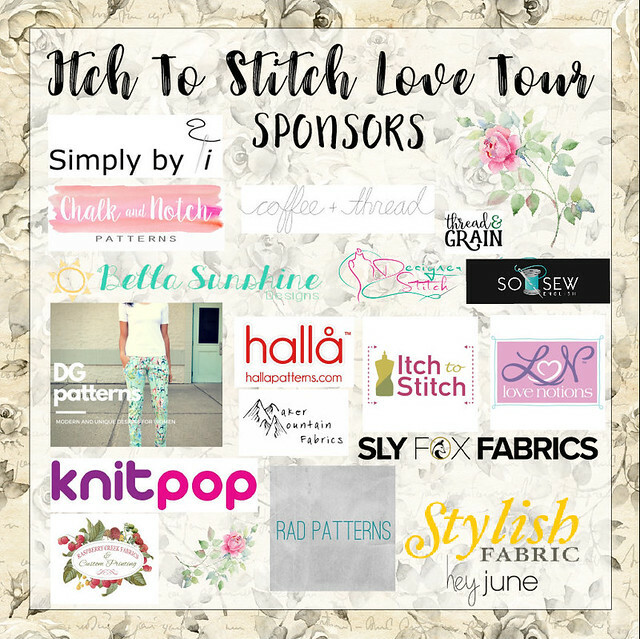 You’ve done a great job leading the Liana sew-along (and the ITS Love Blog Tour)! Your jeans looks fantastic on you. I can see all the effort (and previous practice) you put in them. I love your jeans! That selvedge is too cute! I haven’t made jeans yet but really want to! I’m avoiding buying new ones so that I have incentive! Your outfit looks great! I love the topstitching on your jeans and the pockets look so professional! Thank you for sewing along with me! It sure is motivation to gets things done! Jeans is on my list to sew someday. Yours look great! I let myself miss the Liana sew along, and I totally regret it. Your jeans are FAB! Thanks again for hosting!! Love this outfit and I need to copy it! Looks great – love the Lisbon made with interlock – have a bunch in my stash and the Lisbon would be perfect! Your Jeans are so beautiful – still haven’t attempted them – doing the Bonn now – baby steps to get more comfortable with wovens!